In communities plagued by drought, every drop of water matters. This is especially true in parts of Ethiopia, which is in the midst of its worst drought in 50 years. 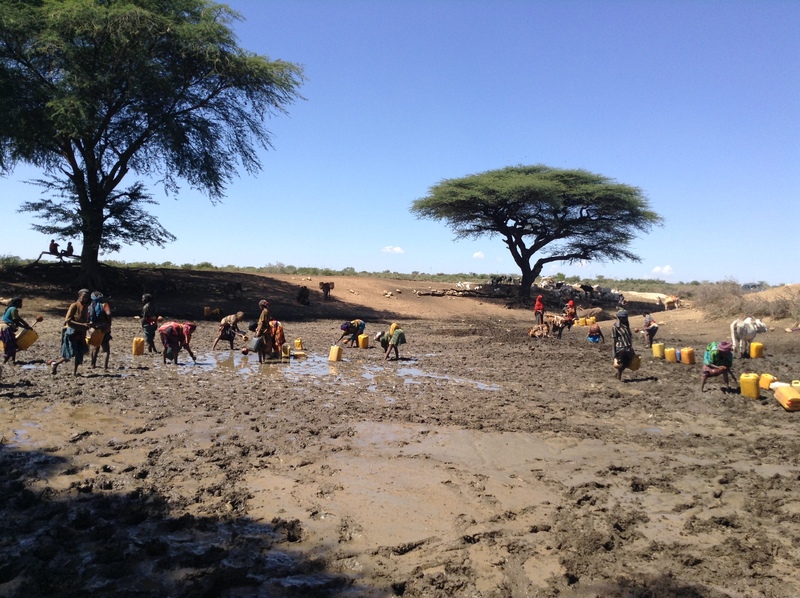 Rains are erratic and land degradation poses other challenges. REAAP, the Resilience through Enhanced Adaptation, Action-learning and Partnership Activity, works to strengthen communities in 6 districts where food is scarce. The goal of the 3-year program led by Catholic Relief Services and funded by the U.S. Agency for International Development, is to reduce long-term vulnerability to climate change and climate-related shocks and stresses. Community volunteers receive training and tools to make informed decisions. They establish committees whose members create a resiliency action plan and work together to implement manageable, sustainable and low-tech solutions. Every day, people in the Kutaye community in Mudhi Bali village have to fetch their own water. That task was made harder by persistent drought. “We had no choice but to spend half the day collecting dirty water,” says a woman. This is how the Kutaye community in Mudhi Bali village used to look like. 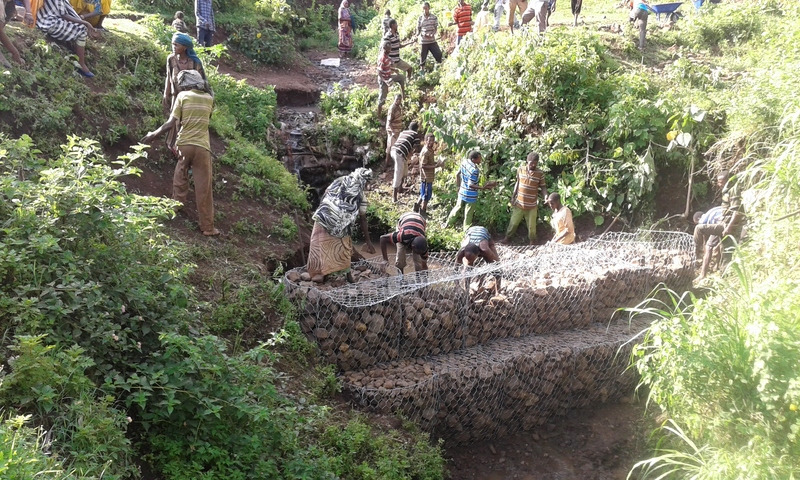 A group of 50 people spent 4 hours every day for 35 days rehabilitating their community pond. 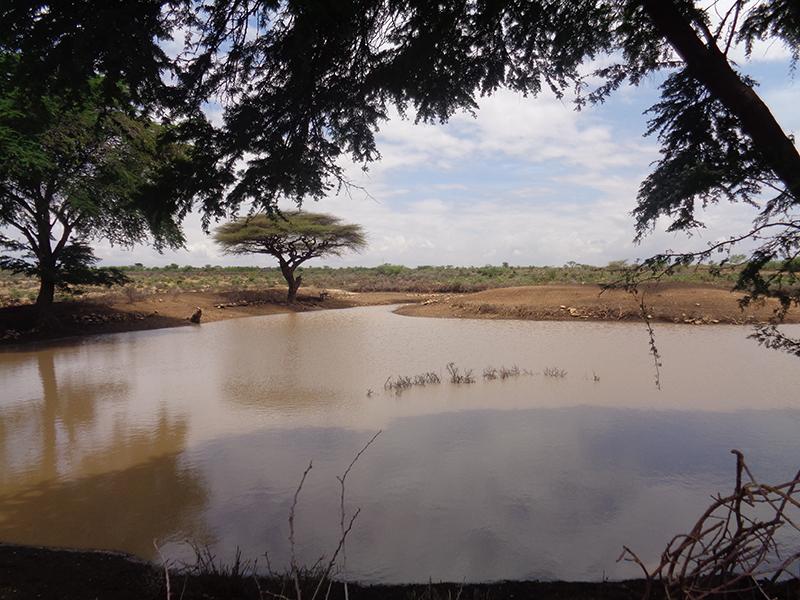 With tools and technical guidance provided by REAAP, the community rehabilitated the pond in just 2 months, allowing 15,235 households access to water. Access to sufficient safe water for drinking, cooking and personal hygiene can improve food supply, health and economic futures. Collective community-based solutions to natural resource management challenges, including the use of critical water sources, is a main focus of REAAP. Other communities have identified land and soil erosion in their villages. They are now building terraces on hillsides and working on reforestation projects. In Mudhi Bali, a pond has brought opportunity and freedom. “We do not have to leave our home for search of water,” says a community member. Dina Abdi is 40 years old. 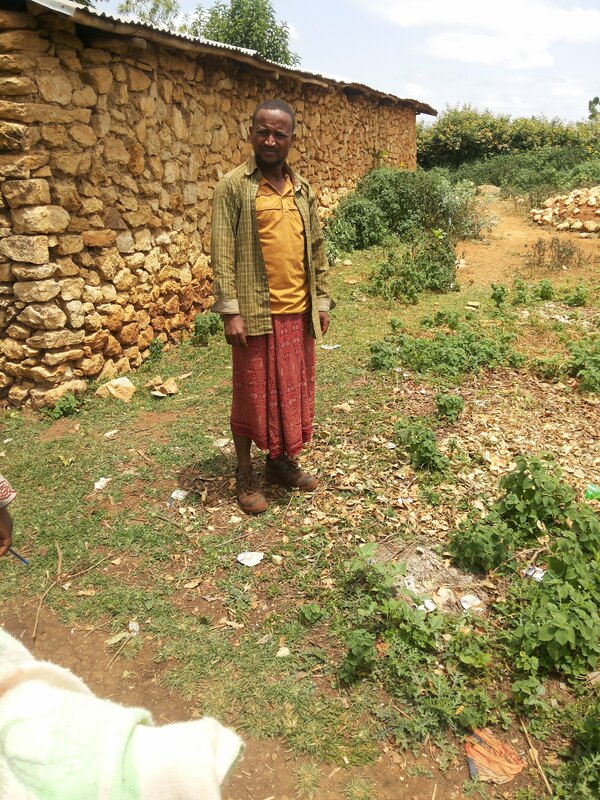 He lives in Malka village with his wife and 7 children. He has seen drought and knows how it can devastate a community. Dina is working to make sure that doesn’t happen again. Dina is chairman of the Disaster Risk Reduction Committee in Malka village. He and his committee members conducted a disaster risk assessment of their community. They identified drought as one of the main hazards that threatens their livelihoods. Dina and the team developed an action plan so the community could become more resilient to drought. They worked closely with local government experts to coordinate, implement, monitor and evaluate the community’s action plan. With Dina’s leadership, the successes were many. In areas where water from shallow wells was unheard of, farmers have started using water from these wells to irrigate their vegetable crops. Even during the El Nino drought, farmers were able to purchase their own seeds. Dina collected seed orders and money from community members, and then went to nearby towns and bought the seeds. “With the support of REAAP, our communities are now better prepared for droughts. We are now more resilient,” Dina says. Dina has also become somewhat of a meteorologist. He shares early warning weather information with his colleagues. This allows community members to make better farming decisions, such as what type of crop to plant and when, and to prepare for the effects of climate change. Dina says REAAP has forever changed perceptions in his community. “You have shown us the way that is leading us to become resilient. You have shared with us your knowledge, which will stay with us forever,” says Dina.